If your company needs a new roof, Sunset Maintenance has you covered. Our team of professionals have over 35 years of experience and expertise. We are a team your company can depend on to provide reliable service you can trust! 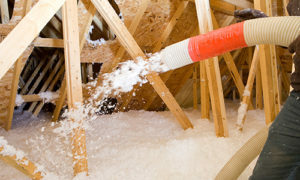 Attic insulation is important for protecting your home from the weather. With the cold winters of the Rochester area you can’t afford not to have proper attic insulation and ventilation installed by a trusted roofing professional. 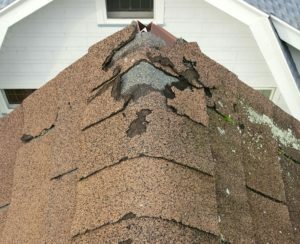 Damage to your roof? Need a patch? Be sure to call in Sunset Maintenance. Get an estimate on our website today and we’ll work with you to restore your roof back to normal. Natural sunlight is a great way to brighten up your home. Skylights allow for just that. Sunset Maintenance uses VELUX skylights/solar tubes for our jobs. 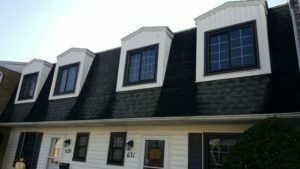 With customer satisfaction being such a high priority Sunset Maintenace is a highly regarded roofing contractor for Rochester, NY. We work with the customer and never add un-agreed upon charges to your bill. 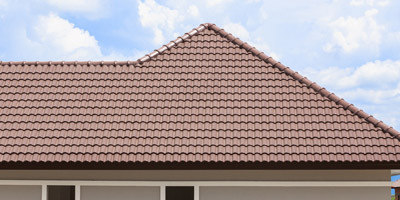 We install a wide variety of the best marterials for roofs. Be sure to check out all our material options below! Your home is one of the largest investments you will ever make and is something that has to be well covered and protected. The roofing materials on your home are just as good as the way they are installed, and that’s where Sunset comes in. Our residential roofing teams know how to install your roof to manufacturer specs and techniques to make sure your roof will last as long as possible. We install everything from simple modular homes to large detailed mansions. From easy walkable roofs, to steep and high rise roofs. The larger part of our business comes from roof installations on industrial and commercial buildings. These buildings usually have large flat roofs, or expensive decorative roofs that are meant to last longer than residential materials. Every roof is very different and requires much more detailed specs to follow. 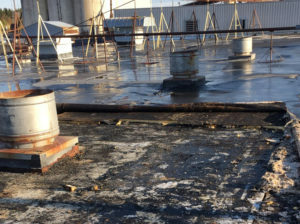 Our commercial crews have had experience with all types of roofing materials, something that is extremely rare to find. We protect your investment by using only top-quality materials fitted to the correct specifications by experienced installers. Our knowledgeable team will provide recommendations and help you create a roofing system that will last. This is the most popular roofing material in the United States. 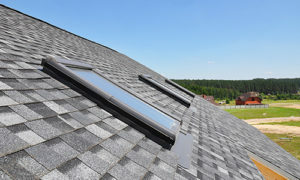 Roofing felt saturated with asphalt, coated on the weather side with a harder asphalt and aggregate particles, and cut into shingles for application to a sloped roof. A metal roof is a roofing system made from metal pieces or tiles. The two most common forms are corrugated panels and standing seam. 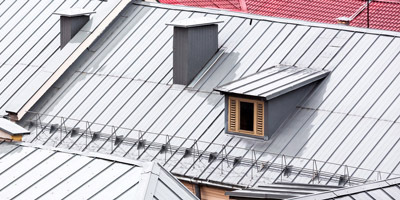 In the United States, metal roofing comprises 10% of the overall residential re-roofing market. Slate is the most durable and longest lasting roofing material ever used. A slate roof will last over 100 years due to the fact that it is natural stone. There are also many other versions of synthetic slates available to achieve the same looks at a fraction of the cost. PVC roofing is one kind of single ply roofing, which means it consists of one layer manufactured in a factory. A PVC roofing membrane is made of thick, flexible UV-resistant thermoplastic material; it may also contain polyester or fiberglass, resins, pigments, plasticizers and other chemicals. Built up roof membranes, referred to by the acronym BUR, have been in use in the U.S. for more than 100 years. These roof systems are commonly referred to as "tar and gravel" roofs. BUR systems generally are composed of alternating layers of bitumen and reinforcing fabrics that create a finished membrane. A heavy roofing material employing multiple layers of asphalt and reinforcers around a core of plastic or rubber modifiers. Installed with a special torching apparatus, a cold adhesive or hot mopped into place using methods of asphalt application. 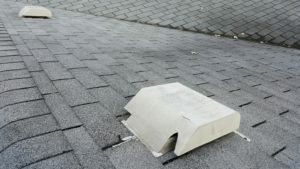 Even the smallest roof leaks can lead to the largest problems if not taken care of right away. Collapsed ceilings, rotted framing, and mold are just a few of homeowners biggest fears. Many times when a roof is not installed correctly, water will find its way in. Not all cases require a full roof replacement; sometimes just a minor fix is all your roof needs to keep water out. Our experienced repairmen know how to take care of your roof problems and get more lifespan out of your existing roof. Some of the best ways to brighten up any room in your house is to bring in natural light. Skylights and sun tunnels allow you to do exactly this in areas might be restricted to access or to keep some privacy. 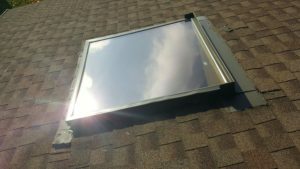 There are also a wide variety of options available to customize the kind of skylight going in. Since the average life expectancy of skylights is right around 20 years, it is wise to consider replacing them along with the roof. Our roofers replace and install skylights every week and can provide you with the peace of mind that they will not leak. 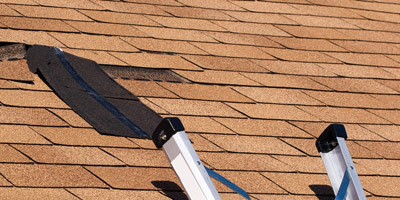 The key to maintaining warranty and prolonging your roof life is to take care of the attic as well. Your attic space should be kept as cool as possible yearlong. This prevents ice dams and mold from occurring on your roof. Adding insulation will keep the heat in your home in the winter, and the heat out in the summer. Extra steps to increase airflow in the attic and push warm moist air out are required on most older homes as well.